Nurse educators play a crucial role in the future of healthcare, sharing their expertise, knowledge and skill in nursing schools and teaching hospitals to prepare the next generation of nursing experts. The shortage of nursing faculty means educators are in high demand. Earning a master’s in nursing to become a nurse educator can be a costly undertaking, so some qualified registered nurses (RNs) may be reluctant to start a degree program. However, RNs who have their eyes on working as nurse educators do not have to give up their dreams due to financial constraints. 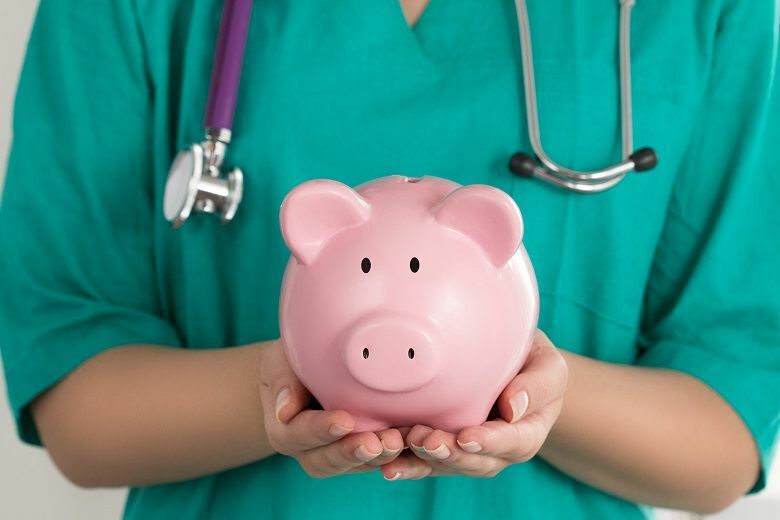 Many financial aid options are available to RNs seeking new roles, including grants for nursing students and a federal initiative that supports nursing workforce programs. RNs who have earned master’s in nursing degrees for MSN careers are in high demand throughout the nation. A growing number of financial-assistance programs are making it easier for RNs to become nurse educators. The first step for any nursing student seeking financial assistance for graduate education is to submit a Free Application for Federal Student Aid (FAFSA) application, which helps determine eligibility for student aid. In many cases, a FAFSA application is required to be considered for grants, scholarships, work-study employment and student loans. Many universities also have financial aid programs, so speaking with the financial aid administrators is important. Offers financial aid to graduate nursing students for tuition, books, program fees and some living expenses. Pays 60 percent of unpaid nursing debt over a two-year period with an option to extend to a third year. In exchange, RNs work in a designated critical-shortage location. Provides fellowships to assist graduate nursing students who demonstrate financial need. Provides a maximum $17,000 loan to nursing school students seeking graduate degrees. Awards both graduate and undergraduate healthcare students, including nurses, up to $10,000 for education. Provides scholarships to support the National League for Nursing’s mission to support a diverse nursing workforce. Designated to assist graduate-degree seeking RNs who plan to work as nurse educators. Offers information on more than 1,300 scholarships for advanced nursing degree students, including students pursuing nursing education programs. Offers information on dozens of national scholarships for RNs who are seeking graduate-level degrees. In addition to financial assistance through public and private entities, many nursing students can take advantage of federal Nursing Workforce Development programs, which provides financial support to nursing programs and students. In June 2018, the U.S. House of Representatives passed the Title VIII Nursing Workforce Reauthorization Act, which renews funding for the program until 2022. The bipartisan bill supports the advancement of educational programs for skilled nurses and offers education grants to support nurse specialists and clinical nurse leaders. The bill has been forwarded to the Senate Committee on Health, Education, Labor and Pensions. RNs considering careers as nurse educators have several options to finance a degree program. At the same time, an online master’s in nursing provides the best return on investment for students. Online degrees allow students to continue their professional and personal responsibilities. Graduates from Duquesne University’s online master’s in nursing earn the same degree as on-campus students. Duquesne University has been repeatedly recognized as a best value in undergraduate and graduate education. Duquesne University’s online master’s in nursing programs prepare RNs in all stages of their careers to become nurse educators. The university offers both an MSN degree and a Post-Master’s Certificate in Nursing Education and Faculty Role. The university provides one-on-one faculty support to encourage academic success at every step. The National League for Nursing (NLN) has recognized the university as a Center for Excellence. The university’s MSN in Nursing Education and Faculty Role prepares graduates for the Certification for Nurse Educators (CNE) exam. For more information, contact Duquesne University today.